Edge Computing, in basic terms, is processing data closer to its origin – at the periphery of the network. The technology moves away from handling data in centralised networks (Data Centres, Cloud, etc) and moves towards individual sources of data capture (laptops, tablets and smartphones). Edge Computing is the decentralised deployment of computing infrastructure, with computing resources and applications closer to the devices that are being controlled by IoT. IoT has fundamentally transformed how businesses operate and it is widely recognised that IoT is driving new requirements for Edge Computing. The huge volume of data that is gathered from IoT devices will create a greater need for data to be processed closer to where it is produced. Edge computing allows data to be processed closer to the device itself, reducing the amount of data that flows back and forth between the cloud and the edge of the network. Businesses can choose which services run at the edge and what data gets sent to the cloud, lowering IoT solution costs and obtaining the most value from their overall IoT solution. It offers a more secure solution, the ability for real-time data analysis and increased accessibility to data. Edge computing helps to address the security and compliance requirements that have prevented some industries from using the cloud. In countries where compliance and data residency are critical, it can be a requirement to keep data local. With IoT data often regarded as important Intellectual Property of a business, therefore owners would prefer to keep it at the edge rather than move it to the cloud or a data centre. Edge computing can also be more secure as the data has less distance to travel, giving hackers less time to disrupt it. Data from the edge is processed in real time and there is no lag in data, as there may be when coming back from the cloud. The speed of results from edge computing apps is much higher than traditional architectures and this can result in revenue making opportunities, cost efficiencies and better services. Data latency is reduced, lowering the time it takes to retrieve actionable insights from that data. And making real-time data so valuable to its owners. Edge computing enables smart devices to operate without disruption even when they’re offline or Internet connectivity is intermittent. This makes it an ideal computing model for businesses that count on the ability to quickly analyse data in remote areas even when it’s offline. The demand for real time data is what’s driving the surge in Edge Computing, and this is also evident in the public sector. New edge computing examples are emerging every day, from buildings elevators that know to go into lock down when under attack, to water valves that can shut down when there is a leak. And in some countries, governments have already launched their autonomous vehicles programme operating with edge computing in order to make decisions on how to navigate through a city environment, or even just moving towards making their cities ‘smart’ by using this information and filtering it to help ease congestion on their streets. IoT solutions are being employed in several government functions, from the use of GPS tracking, 3D imaging of city areas, to dashboard cameras that improve law enforcement to a range of infrastructure applications that include parking, lighting, traffic and public transport. Edge computing enhances decision-making which can take place in cars, buildings and other government infrastructure wherever the data or information is being collected, rather than back at a central IT location or in the cloud. And because of its ‘here and now’ properties, it is particularly useful for governments to make decisions when it comes to emergency services situations, disaster response and disaster management. Edge computing can build a bridge between old and modern government IT machines because it enables older equipment to adopt the language of modern IoT devices and the cloud. This enables government agencies to make use of the machines they already have but get the results of more modern IT infrastructure. Another benefit is the ease in helping government IT protect data. By processing that data at the source, it reduces the need to send data over telecommunications networks—which are known for their vulnerability. Personal information can be pulled before it’s stored in the cloud adding to data protection. 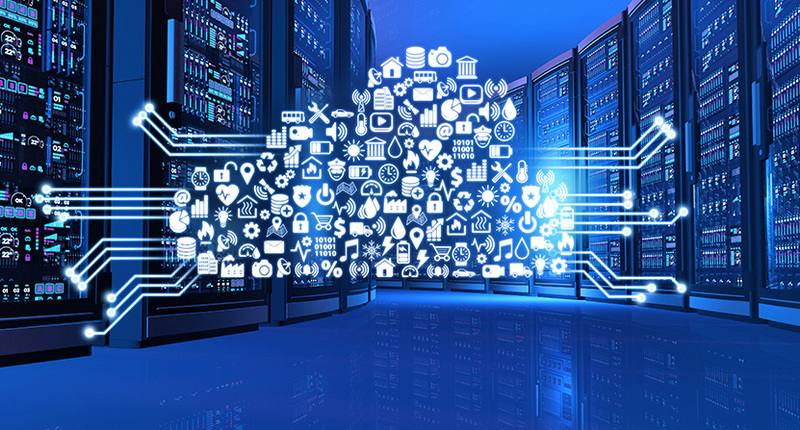 Another reason many government agencies are incorporating edge computing to their IT infrastructure plans is the cost savings. With edge computing, they process data in real time at the site, enabling them to save space on cloud servers. Therefore, they will not pay for higher computing capabilities on a cloud platform. Some government agencies already recognize the benefits of edge computing, putting it to use in a variety of ways. From healthcare, smart cities, military situations to urban planning – the government needs to avail of edge computing technology in every agency. Drones are already using edge computing in 3-D site surveying and mapping, search and rescue operations and big data collection. By using edge computing, the military will be able to better understand how to collect, store and correlate data to make military actions safer. The same applies to disaster recovery after a hurricane, earthquake or any natural disaster. It is critical that the stats and reporting must happen in real time. Hi Mohit, isn’t this just “new speak” and terminology for something that already existis. BMC systems are a perfect example as they usually run on systems and networks logically or physically separate to coporate networks and are locally managed by BMC servers or workstations. In most cases these mechanical systems can run without server or computer infrastructure, the PC’s are just for management and monitoring. Building air conditioning, lighting and energy monitoring systems, water and wastewater, traffic management and lighting systems for local municiplaties come to mind.